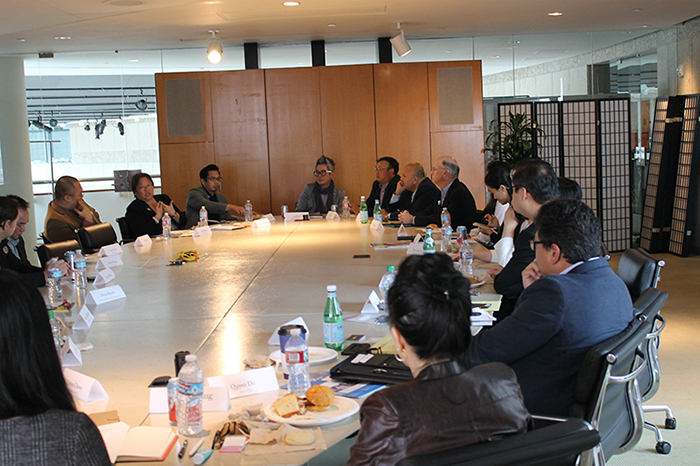 LOS ANGELES, Calif. – The Asian American Advertising Federation (3AF) recently hosted a first of its kind media roundtable with Asian media executives to discuss synergies, collaboration and how to showcase and promote the importance of the Asian American consumer to marketers. The meeting was sponsored by AARP. The 3AF’s mission is to advance the Asian American marketing and advertising industry for Asian American consumers through education, advocacy, promotion, and increased collaboration of all industry stakeholders, including but not limited to marketers, agencies, research partners and media. Additionally, 3AF seeks to promote and encourage high standards of conduct and ethics among our members and our industry. In keeping with its mission, the 3AF invited leaders from more than 20 organizations to the event. The goal of the meeting was to gain better insight into the perspectives and needs of various media organizations pertaining to advertising, marketing and editorial space for the Asian American demographic and to show the 3AF’s commitment to its industry partners. Media attendees included representatives from Apple Daily; Asian American Media Services; Crossings TV; The Filipino Channel/ABS-CBN; GMA; Indiacast; Inquirer.net; iTalk BB Media; The Korea Daily; KTSF; MBC; Nichi Bei Weekly; Prime Image Media Group; Saavn; Skylink TV and Viet TV. Agency attendees were from AAAZA; TDW+Co., Rezonate/interTrend and Admerasia.